We at brainCloud are pleased to present the first (of many) brainCloud tutorial videos. Note – we plan to add new videos regularly over the next few months to cover off all the key features of brainCloud – so subscribe to updates to be notified when new videos become available. 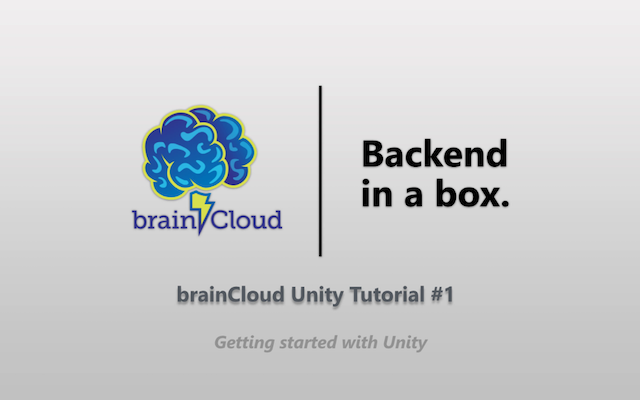 In this tutorial, Preston Jennings, the lead Development Manager for brainCloud, walks the developer through the process of adding brainCloud support to an example Unity game. You can download the tutorial files here. Note – this tutorial assumes that you’ve already signed up for brainCloud – if you haven’t yet, go to getbraincloud.com and register now (it’s free!) – plus if you register now (before end of 2014) you get early adopter pricing until 2016! We hope you like it – feedback welcome – and happy coding!